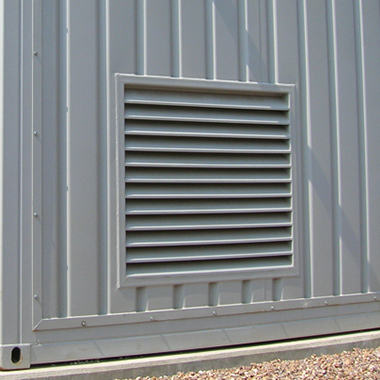 Where space is limited, Bradgate acoustic louvres provide excellent sound attenuation and good protection from the weather, even over shorter lengths. They are manufactured in a variety of paint finishes and can be colour matched to a customer’s specification. The velocity is approximately 7.5m/sec/1500 ft/min. Variations may occur depending on the application. Alternative velocity requirements can be achieved.